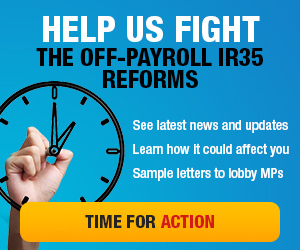 The off-payroll tax - where are now with IR35? 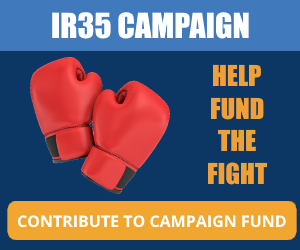 For me, it’s crazy that, almost two decades after the misguided IR35 legislation was introduced in April 2000, it has now been loudly resurrected under the guise of the ‘Off-Payroll Rules’. HMRC invented the concept of a ‘deemed employee’ 18 years ago, in a drive to collect more tax, yet it has since struggled to track down and find these individuals. Its track record of winning only 10% of court cases over the last decade demonstrates that there are far fewer of these individuals in operation than HMRC would have you believe. The Treasury’s claim that it is losing money is based on an ideological flaw and fails to acknowledge the ‘freelance premium’ that individuals charge for their services, compared to what they earn when they are in full-time employment. 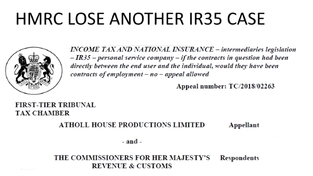 That fact alone should blow IR35 out of the water, yet HMRC maintains that individuals are avoiding tax. This isn’t true either. HMRC’s own calculations demonstrate that 84% of the perceived tax loss where an individual is engaged via a personal service company (PSC) results from the hiring organisation not having to pay employer’s National Insurance (NI). Despite this fact, HMRC discourse continues to suggest that flexible workers are responsible for this perceived shortfall. In its drive to class as many flexible workers as possible as ‘employed for tax purposes’, HMRC has mispresented the laws on employment status. Its misinterpretation of employment case law has manifested itself in the Check Employment Status for Tax (CEST) tool, a simplistic status testing tool which has been labelled unfit for purpose by barristers, lawyers and tax experts. It has been a gross error of judgement to place the complexity of employment status law at the heart of every supply of labour in the flexible economy. The poor guidance on the law has resulted in thousands of public sector workers being incorrectly or blanket assessed as ‘employed for tax purposes’. 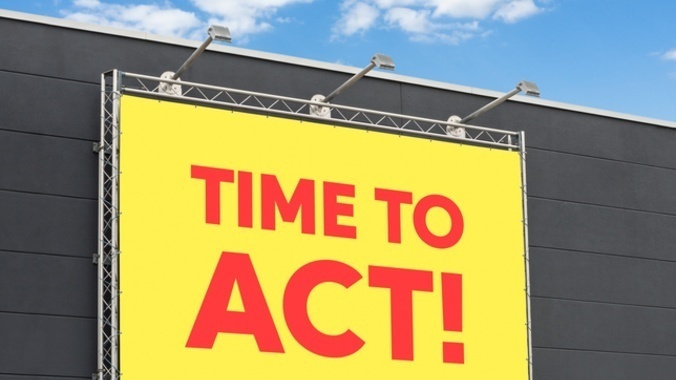 With there being no appeals process as originally promised, this has incentivised widespread adoption of tax avoidance schemes as workers seek ways to overcome paying effective tax rates that are significantly higher than those of employees. The reforms also saw vast numbers of highly skilled, flexible workers abandon the public sector completely, resulting in delays to, and even cancellations of, projects due to intensified skills shortages. Key services have been put under tremendous pressure as locum staff seek work elsewhere, particularly in the NHS. Many of those who remain now charge increased contract rates to compensate for the tax hike suffered due to an incorrect status assessment, making public sector projects more expensive. But those with no bargaining power or alternative options have been forced into false employment and classed as ‘employed for tax purposes’ yet denied the equivalent rights that their employee counterparts benefit from, which is entirely contrary to the Government’s Good Work Plan. 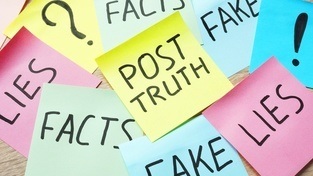 HMRC continues to attempt to justify IR35 using unsubstantiated figures and makes premature claims of the success of the public sector reforms before the completion of a full tax compliance cycle. In truth, we won’t know the real impact until the full figures are revealed in mid-2019, by which time all the off-sets could wipe out any claimed gains. The Government’s wants to take the same proportion of the pie from everyone who provides labour. Unfortunately, the tax system has this massive £60bn elephant in the room, called employer’s National Insurance (NI). This is, in all but name, a ‘payroll tax’, which firms that hire contractors do not have to pay. 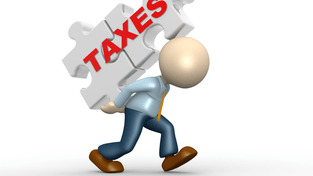 Contractors, on the other hand, pay largely proportional taxes to those on a salary – following the April 2016 dividend tax regime changes, the historic tax advantages talked about are now ancient history in the tax world. It is the tax differential paid by firms when hiring employees compared with the self-employed that needs to be reduced. The day this finally happens, you will be unsurprised to discover that ‘deemed employees’ no longer exist in HMRC’s eyes. 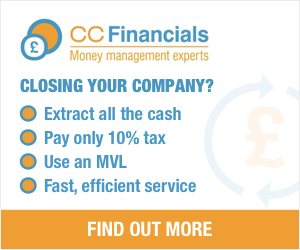 There are two simple ways to achieve this; either reduce employer’s NI or introduce a new Off-Payroll tax, payable by anyone who engages somebody off-payroll. Government must just get on and do it, as opposed to creating stealth taxes based on the concept of ‘deemed employment’. The concept of a ‘deemed employee’ was a non-starter in 2000 and it’s still one now, regardless of who conducts the assessment. Bear in mind that a recent IR35 tribunal case took nine days of court time and 3,500 pages of evidence, just to determine the status. This highlights the mammoth task ahead of any firm required to make an accurate and fair assessment of each person they hire. 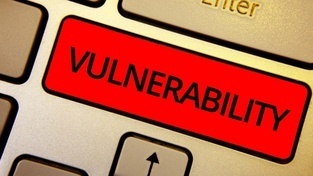 Even then, the deemed status is just an opinion, and in the public sector disagreements have turned client-agency-supplier relationships poisonous, leading in some cases to the contractor suing their clients for misclassification. I would urge anyone reading this to consider the potential damage this ideologically flawed and misguided legislation will do to the flexible economy and UK Plc as the UK attempts to find its feet post-Brexit. ContractorCalculator is actively campaigning to put a stop to Governments plans to expand the off-payroll tax to the private sector. The campaign is now at the stage where MPs are being met and briefed. Meetings are essential. We have prepared a 32 page fact pack to assist you with your meeting. 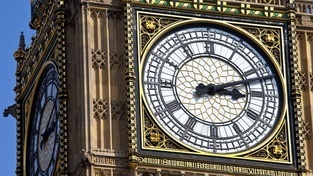 Just email your MP name to us on info@contractorcalculator.co.uk and we will send you the information. Then you simply prepare, and meet your MP for 30 minutes. This must be done in September or October, before the November autumn statement by the Chancellor.